Social media networks have taken off at unprecedented levels in recent years allowing more and more people to find new ways of connecting, interacting and collaborating with each other. In particular, the blog has proven to be an increasingly popular format for practically anyone to talk about practically anything. If you maintain a blog yourself, either for personal use or as a tool for research or teaching, it’s important to be aware that there are limits to what you are able to include in your blog. Before posting, you must take every precaution that it does not include any potentially infringing material. It is equally important to know what to do if you find that your copyright has been infringed. Furthermore, using popular blog platforms such as Blogger or WordPress require you to agree to their terms of service which include clauses on copyright. Alternatively, if you are using the University’s LMS for students to access course resources, it is important to specify the conditions under which that material can be used. 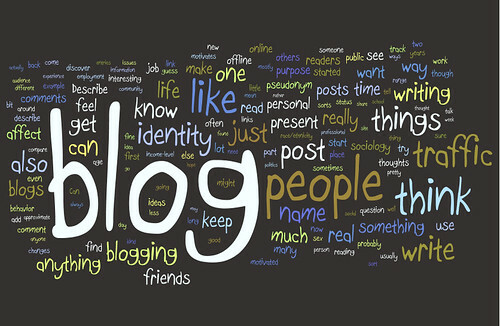 Blogs can be invaluable tools you can use to express and exchange ideas, but it is important to keep these considerations in mind when using them. If you’d like more information, contact the Copyright Office.